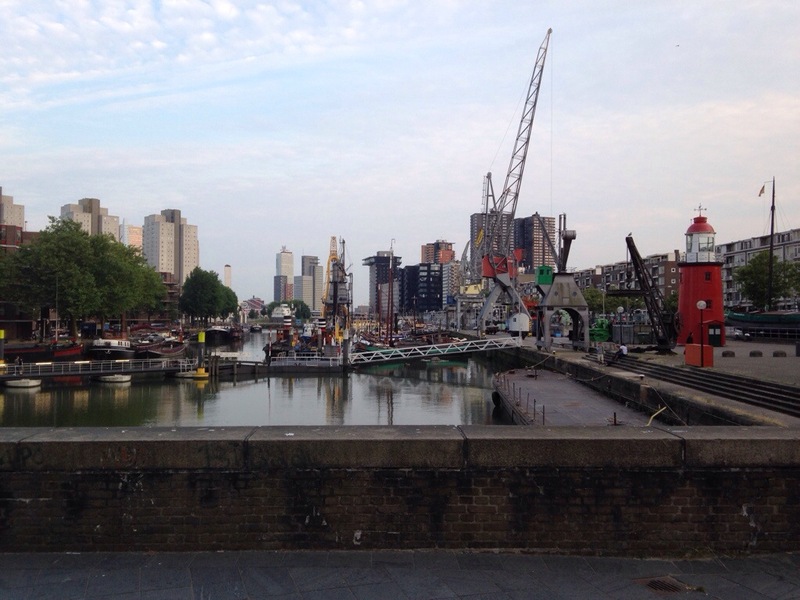 I followed the river Ijsel from Gouda to Rotterdam. It was another short day of cycling, with a relaxing lunch en-route. I’m becoming increasingly convinced this is the best way to travel. Rotterdam is entirely different to all the other towns and cities in the Netherlands that I’ve visited (which is quite a few now). Different because Germany bombed the living daylights out of it during WW2. I spent the afternoon hunting for glove puppets for Arthur. Oh how my life has changed since becoming a father.